Quiet moments in harbor. 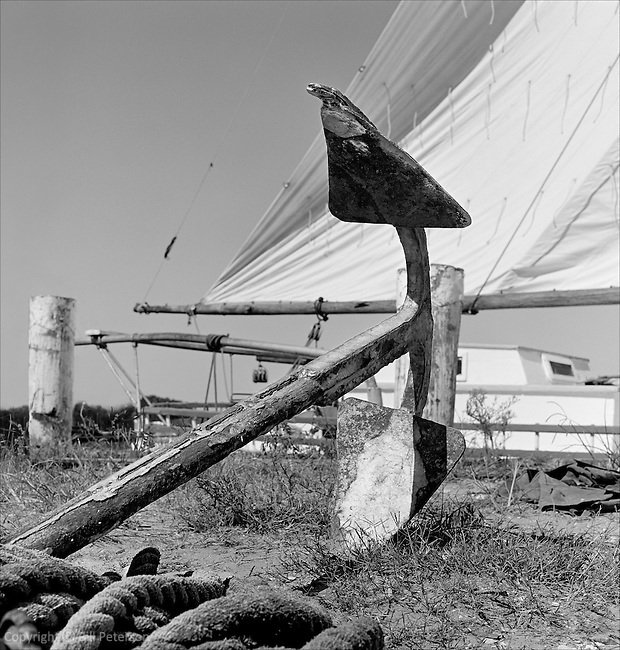 A Skipjack drys her canvas sails before furling, the rustic anchor whispers of bay stories among the oyster dredgers. You almost smell a hint of salt in the air with this image in the room. 'Anchor' evokes a comfortable mood of things past while at the same time you feel you see it in the now every time you re-look. This image also presents very well in Sepia.